With the decline of traditional media, Members of Congress have had to rely increasingly on their own proactive outreach to constituents to get their messages heard. While they are doing this in myriad ways, one form of communication offers particular benefits in these budget-conscious times: the Congressional e-newsletter. Compared to a traditional printed newsletter, which can consume tens of thousands of dollars of MRA money, an e-newsletter costs nothing to print and little to e-mail—just the costs of the recipient list and the service that handles the actual sending and tracking. With existing templates, e-newsletters are easy to design and produce. Furthermore, if an office is methodical in building an “opt-in” list of subscribers, it can reach out to those subscribers continually throughout the two-year term, including during the so-called “blackout” period prior to primary and general elections. Before we began researching this topic, we hypothesized that the massive amount of electronic data stored by firms that create and sende-newsletters for Members held in their archives a treasure trove of useful information to help Members become more effective e-newsletter publishers. Put another way, we believed that there might be a science to sending e-newsletters to constituents. Now, after analyzing more than 4,000 different e-newsletters, comprising more than 55.7 million separate e-mail messages from 77 different Congressional offices over the course of one year, we firmly believe that there is a science to it, and have even discovered some practical “nuggets” of information Members and their staffs can easily apply to their e-newsletter processes. 1) Stop guessing: You can now measure your e-newsletter effectiveness against that of other House offices. 2) If you want constituents to open the e-newsletter, your best chance is to send it on Sunday; do not send it on a Wednesday. 3) The best time of day to send a Congressional e-newsletteris in the afternoon; do not send it in the early morning. 4) Subject lines of wildly differing lengths can generate high open rates. The real difference is the effect on click-through rates: Shorter subject lines generate much higher click-through rates than longer subject lines. 5) Many offices failed to reach out via email to constituents during the period of highest interest in Congress’s activities, losing an opportunity to build e-newsletter databases. 6) Constituents expect you to advertise your e-newsletter, not require them to find it on their own. 7) Constituents who have contacted an office in the past are two to three times more likely to mail back a reply postcard to receive that office’s e-newsletter than constituents who have never contacted that office inthe past. Following the key findings, this report concludes with a list of recommended “E-Newsletter Best Practices” to improve the effectiveness on multiple dimensions of Congressional e-newsletters. This is the latest of the Congressional Institute’s study on improving communication between Congress and its constituents. 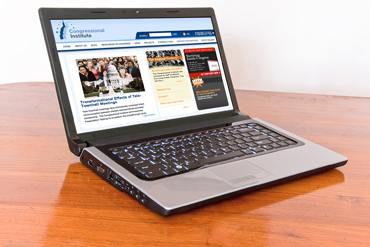 Follow these links for our reports on the effective use of snail mail in the e-mail age, harnessing new communications technologies, Congressional Facebook pages, Congressional website and e-newsletter design, and Congressional tele-town hall meetings.